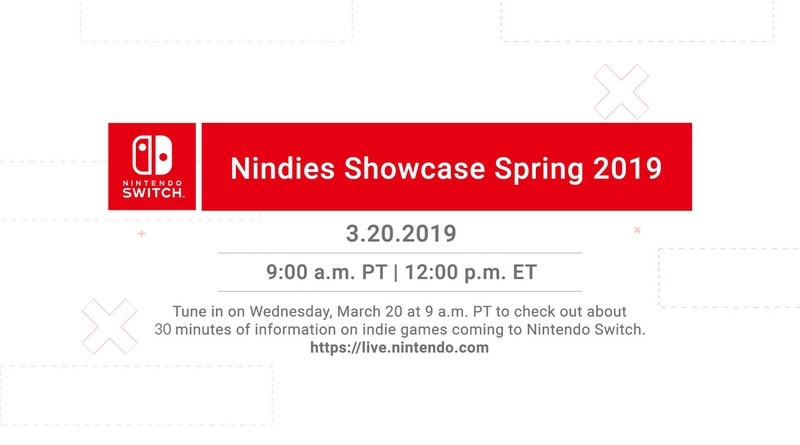 Nintendo has announced that it will host a Nindies Showcase Spring 2019 video this Wednesday, March 20 at 9am PT | 11am CT | 12pm ET. They promise about 30 minutes of information on upcoming games to the Switch! This video will be one of the longest yet for indie games and we’re looking forward to seeing what’s on the way! Watch it live right here!